The CEO of a promising start-up company is found dead in a luxurious hotel room. Two men who underwent what were supposed to be simple surgical procedures died on the operating table in two different hospitals. Ronnie Saar, a newly promoted partner in a leading venture capital fund, is unexpectedly nominated to chair the board of a successful pharmaceutical startup company. But before he can reap the rewards of his promotion, he must deal with these unexpected deaths and other ominous developments that threaten his and his soon-to-be bride lives. His attempts to get to the truth expose a bitter reality: In the business world, money is more valuable than human lives. Ronnie has a lot to lose. His job, the bright future with the woman he loves and if not playing it safe – his life. Everybody around him offers the same advice – sell and move on with your life. But as his best friend Gady, a former military investigator in the Israeli army, discovers – things are not what they seem. A mysterious and powerful player has his own plan and he has no intention to stop until it is accomplished. 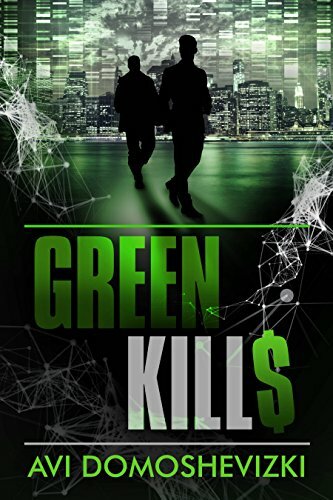 Green Kills is a fast-paced thriller with a complex plot exposing what goes on behind closed doors at the big money making firms. It leads the reader down the complicated path of venture capital funds’ decision-making, all the way to the unexpected finale. Click here or type in http://geni.us/greenkills into your web browser to pick up your copy of Green Kills in the Amazon Kindle store. Avi Domoshevizki is an author, high-tech entrepreneur, venture capitalist, and guest lecturer at leading Israeli business schools. His mandatory military service was performed in the communications corps, which was important, but not exciting, so Avi volunteered for the Paratroopers Brigade, where he served until the age of 45. Avi holds a bachelor’s degree in electrical engineering from the Israel Institute of Technology and a master’s degree in business from a joint program of Boston University and Ben-Gurion University. As a businessman, Avi was a creator – of new products, new companies, and new jobs. In recent years he has turned that creativity to the business of writing. When he’s not writing, he is a sought-after guest speaker on the subject of entrepreneurship, visiting universities as well as private companies. 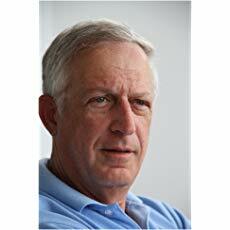 He lectures frequently at leading universities including the Israel Institute of Technology (The Technion), the Tel Aviv University Recanati Business School — Lahav Executive Education, and the Tel Aviv-Yafo Academic College, where he is a proud member of the board of governors. Avi lives in Tel Aviv and is happily married. He is the proud father of two daughters and the even prouder grandfather of three grandchildren. You can visit Avi’s Amazon author page if you click here or type in http://geni.us/avid into your web browser.